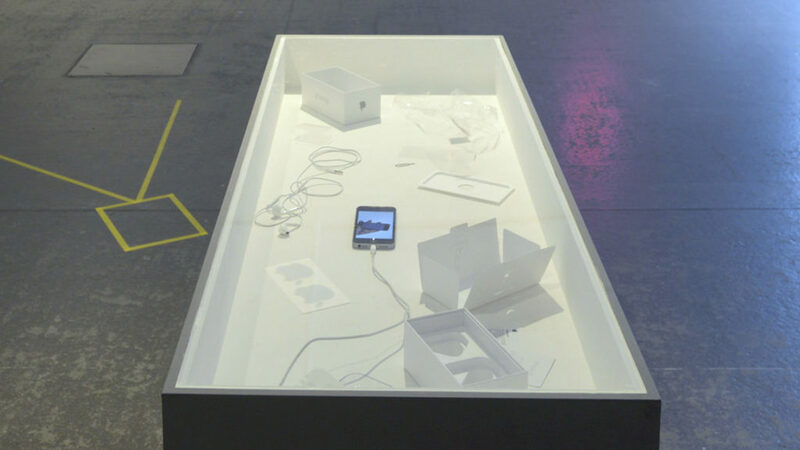 A sculptural work contained within a display case. 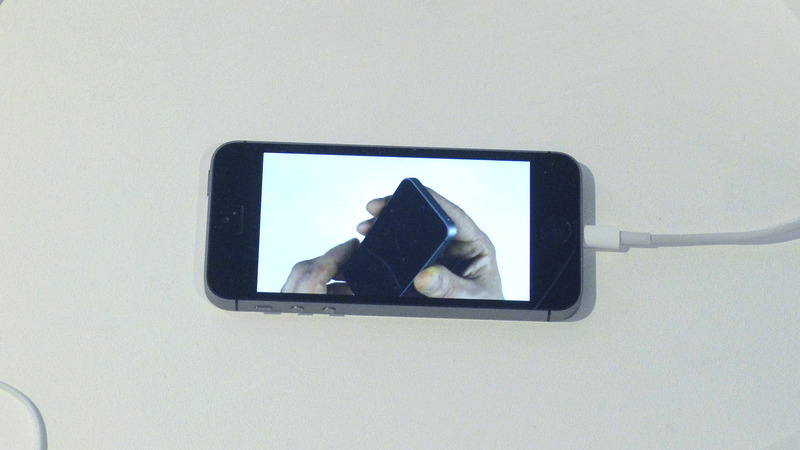 An iPhone sits in the centre of the case playing a video of its unboxing, with audio commentary. The footage plays in reverse so the iPhone is continually reboxed. It is surrounded by the staged packaging from the filmed unboxing.